The Skoda Fabia Monte Carlo has been revamped for 2019. It's priced close to a hot hatch, though...? 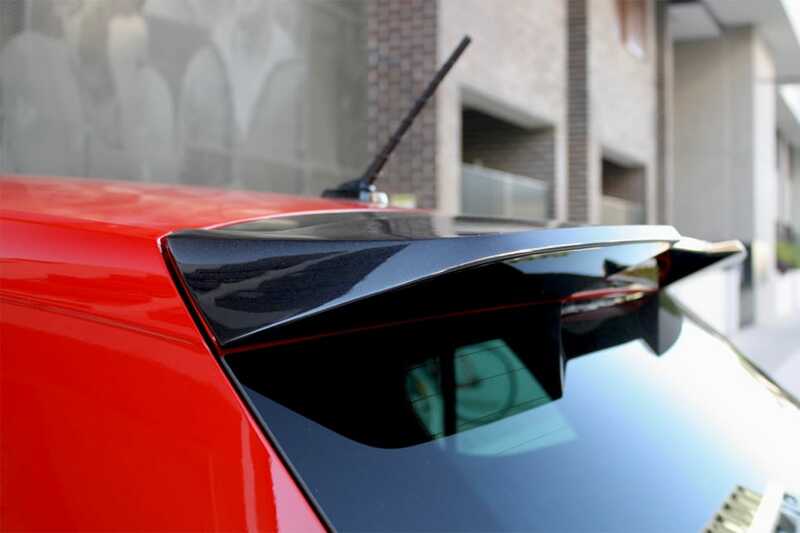 In Monte Carlo spec you get sportier bodywork, including a black rear spoiler and black lower body kit. The Skoda Fabia range has been updated and facelifted. You mightn’t be able to tell just by looking at it, but there are broad-reaching adjustments across all models. We’re in the sporty looking, high-spec Monte Carlo. It isn’t quite a hot hatch - rather, it has the makings of one, but instead makes do with a downsized turbo engine and a dual-clutch auto transmission without paddle-shifters. Shock, horror. Even if it doesn’t hit the highs of some closely-priced go-fast compact hatches, the Fabia Monte Carlo offers some food for thought in this tough-fought segment. 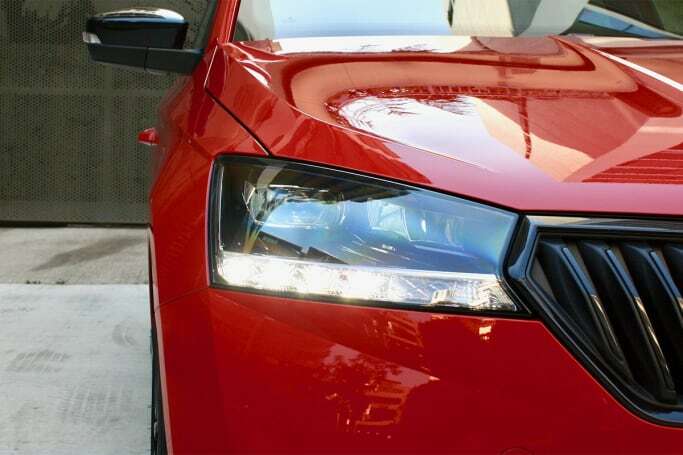 The redesigned front end of the Skoda Fabia is barely different to the model that preceded it, but trainspotters will note slightly redesigned headlights and a different bumper and grille. Those headlights include integrated LED daytime running lights, and there’s the option of full-scale LED headlights - but you have to pay for them. 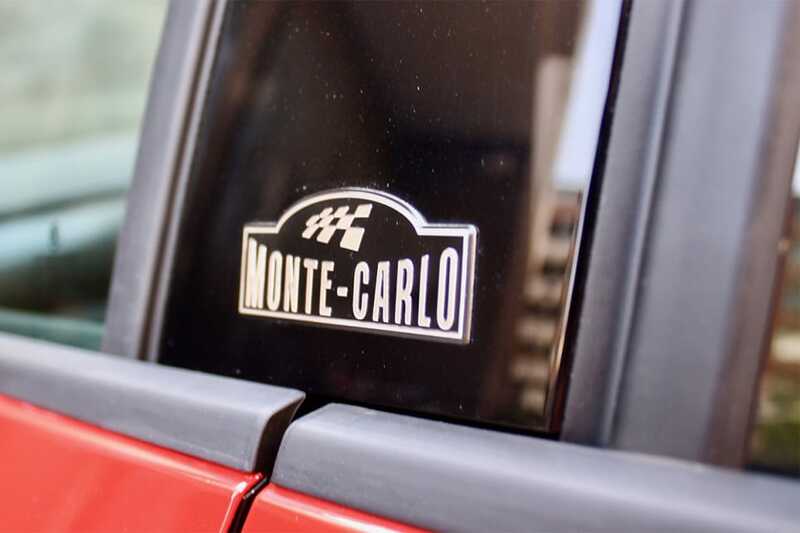 In Monte Carlo spec you get sportier bodywork, including a black rear spoiler and black lower body kit, plus black 17-inch wheels with grippier Bridgestone Potenza rubber, and Monte Carlo badges on the B-pillars and door sills. Over lower grade models it also has front fog-lights and LED tail-lights. 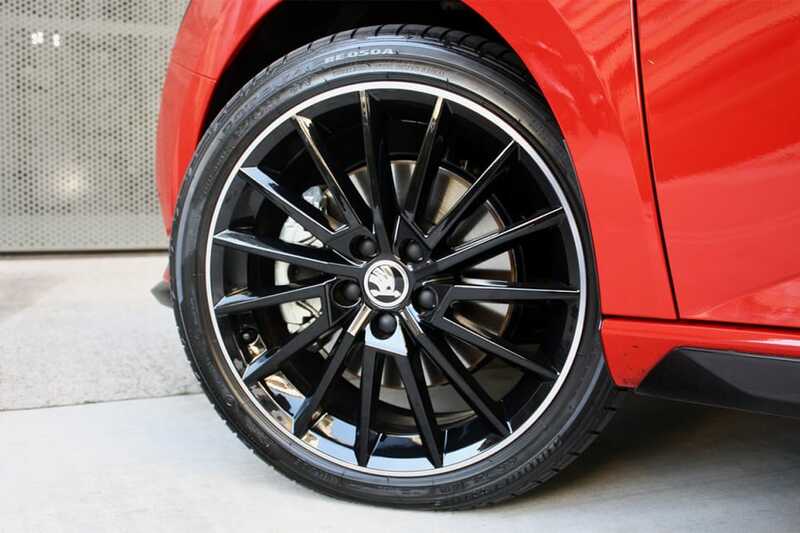 The Monte Carlo scores 17-inch alloy wheels. On the B-pillars and doors sills are Monte Carlo badges. At the rear is a blacked out spoiler. 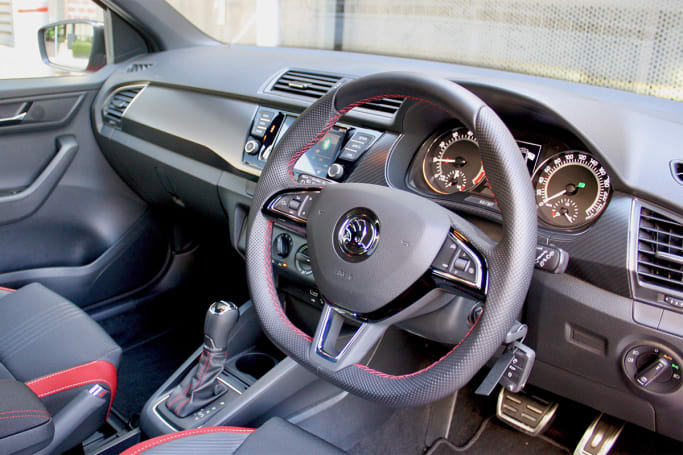 There are changes inside the cabin, too, with different seat trim and a flat-bottom steering wheel. Check out the interior pictures to see if it’s to your taste or not. Inside, there's a flat-bottom steering wheel and the seats get a unique trim. I think it’s a sporty looking little hatch, with enough design flair to suit its compact dimensions. The Fabia hatch is just 3997mm long (on a 2470mm wheelbase), 1732mm wide and 1467mm tall. 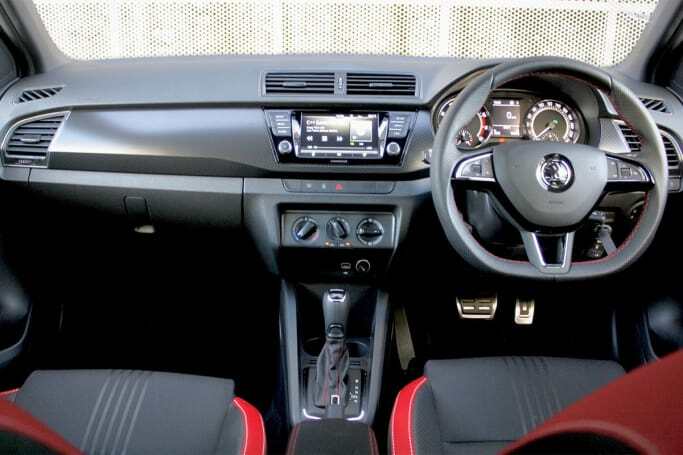 The cabin of the Fabia is compact. Admittedly, it’s a compact car on the outside too, but while most of Skoda’s other models manage to make you feel like you’re in something larger than you are, the Fabia - aside from its high roof and therefore very good headroom - is a little cramped. 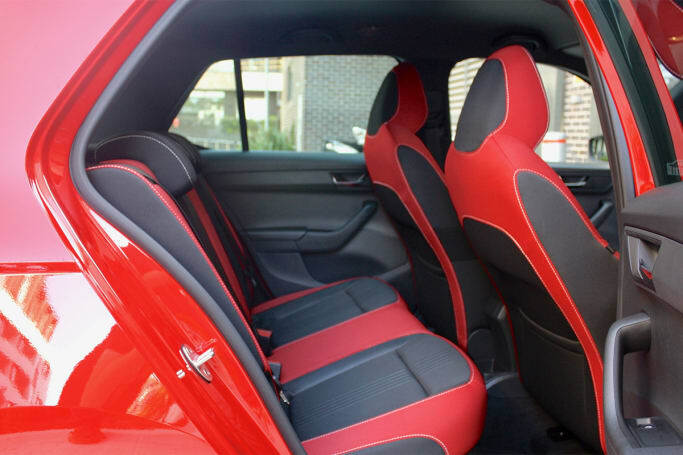 Skoda’s manage to make you feel like you’re in something larger than you are, but the Fabia feels cramped. Rear seat legroom and shoulder space is among the worst in the class, for instance - but if you’re not hauling 182cm-tall adults like me around in the back, then that mightn’t matter too much to you. Youngsters will be comfortable in the back, and there are dual ISOFIX child-seat anchors and three top-tether points as well. Yep, it’s a five-seater. Youngsters will be comfortable in the back, but leg and shoulder room is among the worst in the class. There are bottle holders in all four doors, and a pair of map pockets on the front seatbacks, too. No cupholders in the rear and no centre armrest, either, and up front the cupholder situation could be better - there are two, but they are shallow and smaller than the standard Keep Cup. But hey, you get an umbrella hidden in the glovebox, and there’s a little rubbish bin in the driver’s front door pocket, too. The materials used are on the cheaper side, with hard plastics on the doors and dashboard. But there are padded elbow rests on the doors and the small adjustable centre console cubby, and the carbon-look panel that runs across the dash is nice. The cloth seat trim looks great, too. 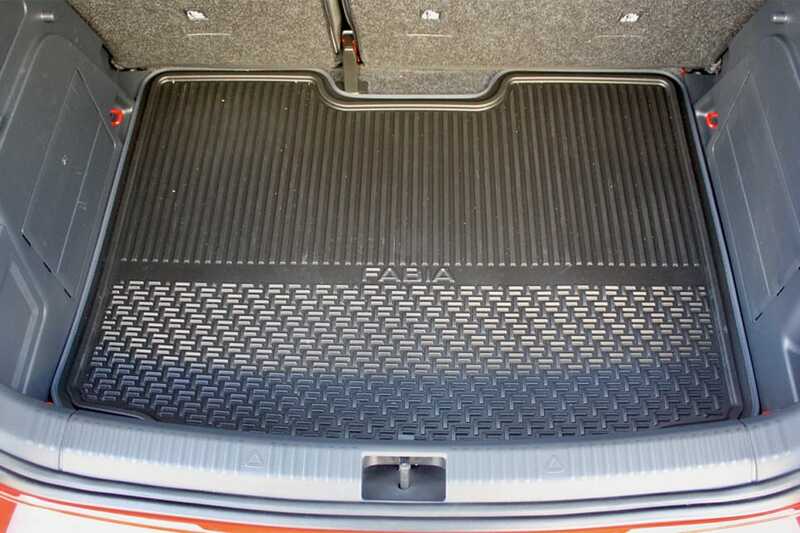 Boot space is good for the class, with 330 litres of cargo capacity with the rear seats up and 1150L with them down. Boot space is rated at 330 litres. With the rear seats down, boot space grows to 1150 litres. Not big enough? 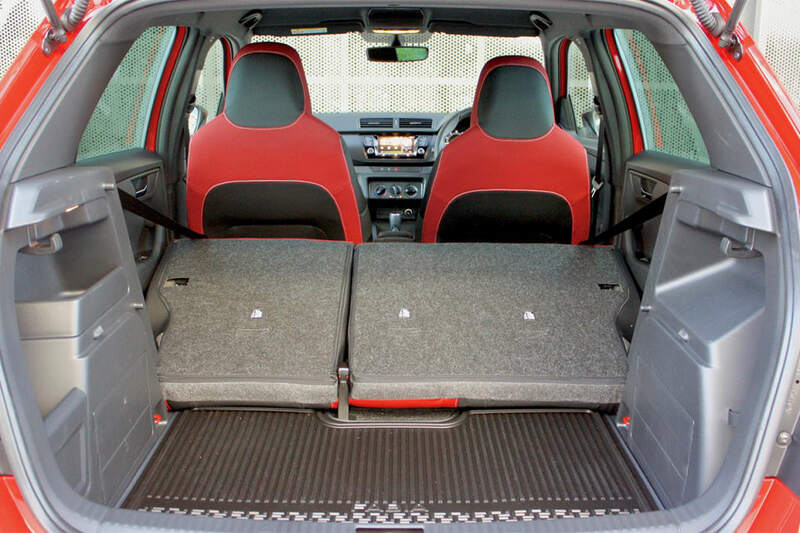 You can get a Fabia wagon - and as a Monte Carlo model if you’re completely sold on the look - and in that guise you’ll get a much bigger boot (530L/1395L). It’s small, has some touches of luxury and sportiness, and is definitely no Toyota Yaris. So, with an asking price of $25,490 drive-away, what other cars could you be shopping it against? 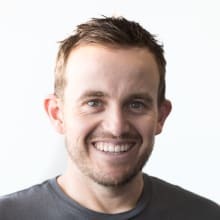 How about a Mazda 2 GT auto ($23,680 plus on-road costs), or a Volkswagen Polo Comfortline auto ($21,990 plus on-roads), or if you really want something a bit more sporty, then maybe a Suzuki Swift Sport auto ($27,490 plus on-roads). 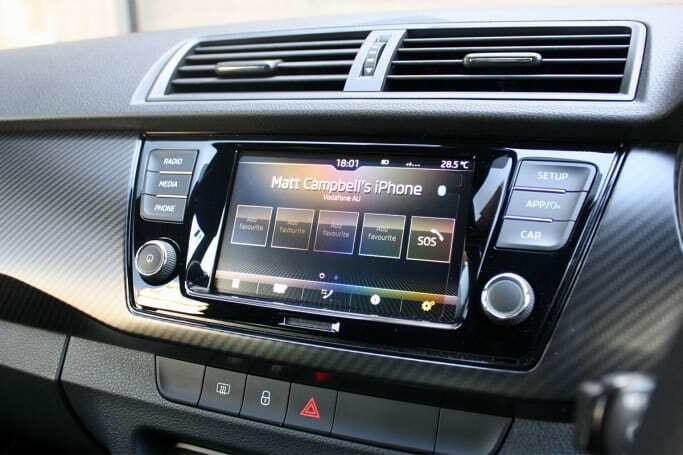 As for standard equipment, the Fabia Monte Carlo scores a 6.5-inch touchscreen media system with Apple CarPlay and Android Auto as well as Bluetooth phone and audio streaming. The 6.5-inch touchscreen comes with Apple CarPlay and Android Auto. There are some other shortcomings for a car at this price point: you don’t get keyless entry or push-button start, for instance, and there is no leather seat trim, heated seats or built-in sat nav (add $950 if you want that). A panoramic glass roof will set you back $1000, too. 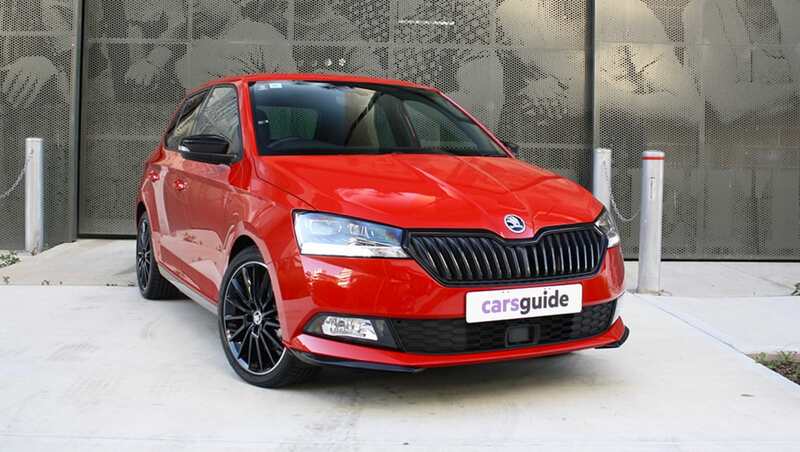 As has been the case in previous years with Skoda models, there are several packs that customers can choose to add to their car to boost the specification levels. On the Monte Carlo model, that includes the Vision Pack (priced at $1400) consisting of full LED headlights, auto lights and wipers, auto-dimming rearview mirror, and additional safety spec in the form of blind-spot monitoring and rear cross-traffic alert - our car was fitted with that pack. This Monte Carlo is equipped with the Vision Pack that includes full LED headlights. There’s also the Tech Pack ($1800), which includes keyless entry and push-button start, rear parking sensors, adaptive cruise control, climate control air-con, driver fatigue detection, DAB+ digital radio and dual USB ports in the rear. 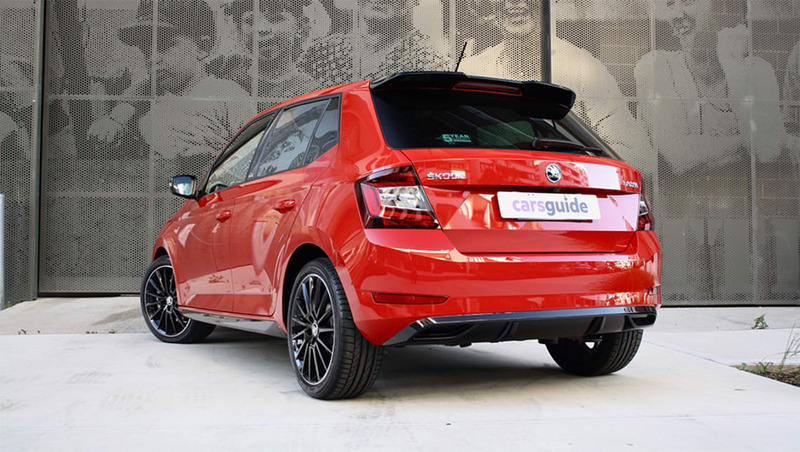 The Fabia is available in an array of colours, including the choice of a black roof finish. You can choose between white, grey, blue, black and red, but green is reserved for non Monte Carlo models. 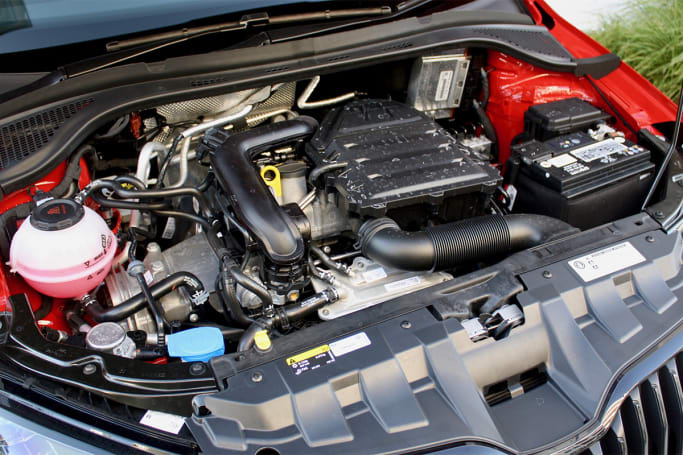 Under the bonnet of the Fabia Monte Carlo is what Skoda calls the 81TSI engine - a 1.0-litre three-cylinder turbo-petrol producing 81kW of power and 200Nm of torque. The small 1.0-litre three-cylinder makes 81kW/200Nm. It has a standard-fit seven-speed dual-clutch auto transmission, and like the lower-grade version, is front-wheel drive. There are no paddle-shifters, which might seem a bit of a silly concern - but after driving it, I found myself wishing there were. Sadly, there is no manual version, which is a shame. Claimed fuel economy is 4.7 litres per 100 kilometres, which is very good. But in the real world, you can bank on using about double that in city driving. Plus you’ll need to factor in that the engine requires 95RON premium unleaded petrol, so filling up will add a few extra bucks. On the right stretch of road, the Fabia Monte Carlo has handling as good - if not superior - to some pint-sized hot hatches. It holds the road beautifully, turns with grace and ease, and feels balanced and controlled in the twisty bits. The engine revs freely, the transmission shifts smartly - only let down by a lack of paddle-shifters. The whole experience feels nice, and if you only deal with higher-speed driving that happens to involve a mountain climb on the way to work, then: a) you’re luckier than you know; and b) you’ll be happy with a Fabia Monte Carlo. But the big issue here is that this is a city car, and that’s where it stumbles and fumbles most. The transmission is the real problem - it is hesitant, reluctant, downright dumb at times. Combined with some turbo-lag from the three-pot turbo engine, traffic lights can actually be nerve-wracking, as there’s not really a ‘regular’ feel to the way the car will take off. Sometimes it’ll jump away from the lights, other times it will lag and lurch. The ride is reasonable in town, but sharp edges can upset things. And while the steering is a lot of fun in its weighty, direct attitude, that heft can be a tad annoying when you’re trying to park it. All in all, the drivetrain feels a bit like old-Skoda-by-way-of-VW, and it simply isn’t as well considered as the equivalent VW if you just drive around town. What a damn shame there isn’t a manual Monte Carlo, because it would easily negate all these concerns. The smallest Skoda comes as standard with auto emergency braking (AEB), a reversing camera, six airbags and a retained five-star ANCAP rating from 2015. No Fabia model comes with adaptive cruise control, rear cross-traffic alert or blind-spot monitoring as standard, but those are optionally available (see the pricing section above). There’s no lane keeping assist or lane departure warning system on the Fabia - standard or optionally. Where is the Skoda Fabia built? The answer is Skoda’s home country - Czech Republic. Skoda offers a five-year/unlimited kilometre warranty on its models putting it on par with rivals, though it was one of the earlier adopters of the long warranty program. Skoda offers the choice of either following a capped price servicing plan (out to six years/90,000km) or buyers the option to pre-purchase three years/45,000km or five years/75,000km of servicing in a service pack. The latter allows you to roll the maintenance costs into your finance, which is nice, and the costs area $760 for three years, or $1600 for five - which works out to a discount of $317 and $885 if you pre-purchase rather than follow the standard capped-price plan. 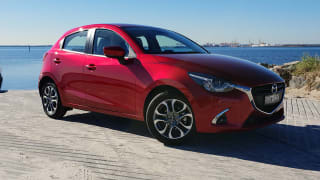 Follow the capped price path and you will find costs of maintenance are on the high side for such little car, at: $291, $351, $435, $622, $435 and $351 respectively. I like the Skoda Fabia Monte Carlo, but I’d have to love it if I was going to own it - especially considering I now live right in the guts of the city. If I still lived up in the Blue Mountains, it would make a bit more sense… but should that be the case for a city car? Arguably not. Would you buy a Skoda Fabia? Tell us what you think in the comments section below. 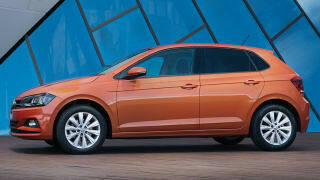 The 85TSI Comfortline marks the second and highest rung on the Polo ladder (for now), wearing a $19,490 (six-speed manual) or $21,990 (seven-speed dual-clutch auto) price tag. 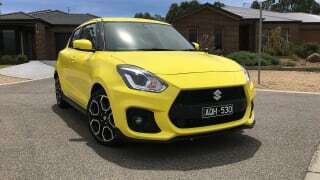 The Suzuki Swift Sport is back for 2018, with the pint-sized speedster seemingly making the transition to fully-fledged hot hatch in third-generation guise.